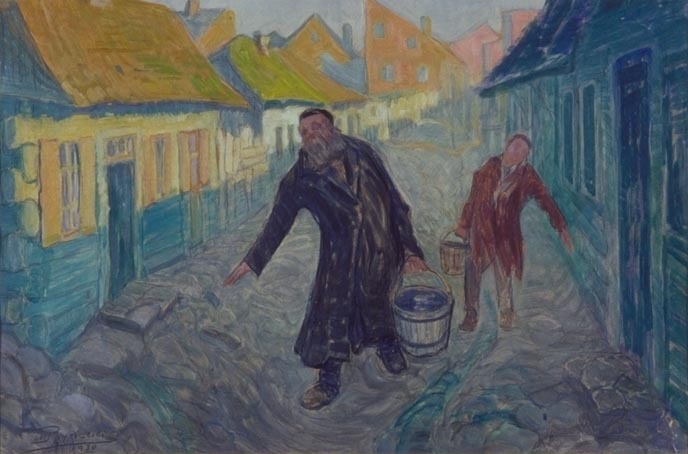 What was your overall impression of the attitude of non-Jewish Poles you met re: your project and/or to the fact that a Jewish artist, who portrayed Jewish life, is the focal point of your work? Everyone I met was incredibly kind, gracious, and helpful to me. But you must remember that all the non-Jewish Polish people I met are people who already have involvement and/or interest in Polish-Jewish cultural history and institutions. Did you feel the Jewish museum and “sites” in Poland, particularly Krakow (and Jewish-themed restaurants) were authentically based and/or capitalizing on something trendy? Several Holocaust survivor children/friends I know think they’re creepy. I have VERY mixed feelings about this topic. I have both a very cynical response to the presence of these sorts of places, but I also have an optimistic outlook. Thanotourism is an incredibly strange experience. If you only visit the sites of the atrocities, then you are entrenched in a past and the ghosts of history. We all MUST remember the past, and next generations must be taught and know all that happened. BUT the reality is that life also must go forward. I think some of these institutions (museums, gift vendors, restaurants) exist because there are Jewish heritage tourists and they want to offer experiences that will appeal to these travelers on their visit. But the reality is that there just aren’t a lot of Polish-Jews in Poland, so many of these places are run by non-Jews. I found the Galicija Museum in Krakow to be amazing. The Grodzka Gate people in Lublin are fantastic. 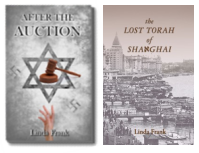 I visited a few of the Jewish themed restaurants… they’re definitely strange, but I always had nice service and a good meal. When we first met you had issues with the Polish government apparently knowing the whereabouts of some of the paintings but not cooperating with you. Are these issues still the case? If so, an example? If not, how is it better? This topic is complicated. I met with two museums in Warsaw that have possession of my great-grandfather’s work. 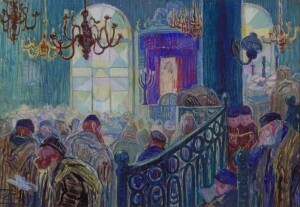 ZIH (The Jewish Historical Institute) has 52 paintings. The National Museum in Warsaw has 2 pieces. Communicating with people in Poland via email is incredibly slow and frustrating, but my visit to both museums was very positive and good. The Polish government is very aware that art/books/sculptures, etc., were stolen *from* Polish institutions and not returned. The Polish government is very keen and focused on discussing how art stolen from their cultural institutions should be found and returned. They have online lists, connections with other governments to pursue the matter, and they just held a conference last month in Krakow in the topic. 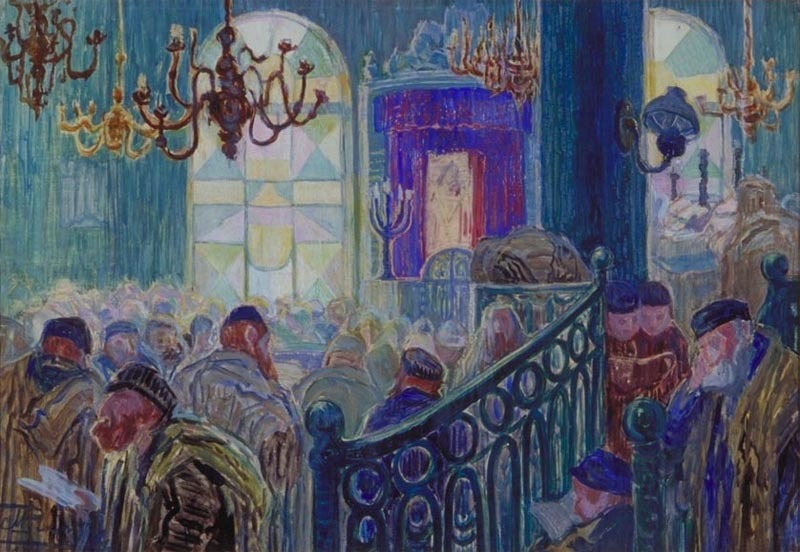 HOWEVER, they DO NOT discuss art held by Polish institutions whose provenance is questionable NOR do they talk about cultural plunder of items taken from Jewish families. This is a problem and is a topic they do not discuss. Did you find any new paintings you hadn’t known about before? I knew the numbers of paintings held by ZIH, but there were several that were new to me. It was a breathtaking experience to see the work in person. 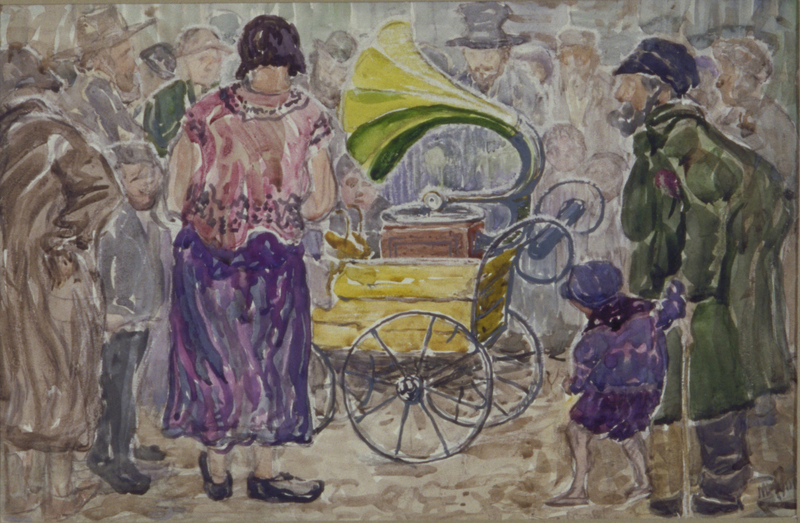 Three of Moshe Rynecki’s paintings are pictured here (with permission from Elizabeth). For more on this quest, see Elizabeth’s website.